There’s a madness that’ll be taking over for three weeks. It’s known as the NCAA Men’s Basketball Tournament. 64 teams compete in a single elimination tournament for the chance to be crowned champion. It’s also the chance for couch athletes to live vicariously through 19-22 year olds while lamenting at the state of their brackets. Fans have been preparing themselves for the games this month, and have been sharing all sorts of content about the games, music festival, recipes, and bracket analysis. Let’s take a look. 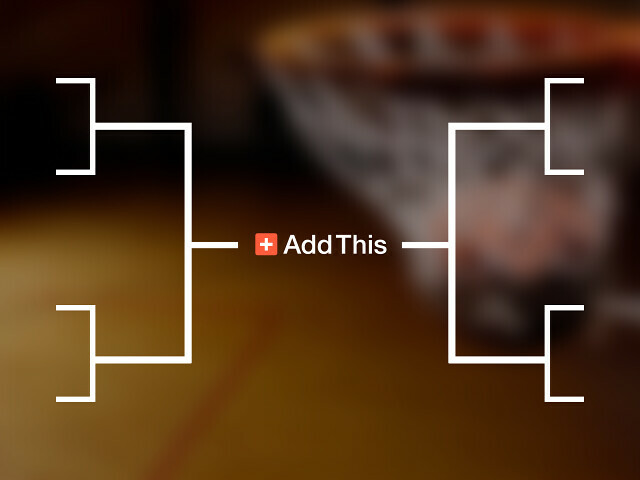 Facebook is the most popular service fans are using to share about March Madness, either by posting directly or using the Facebook Like feature. 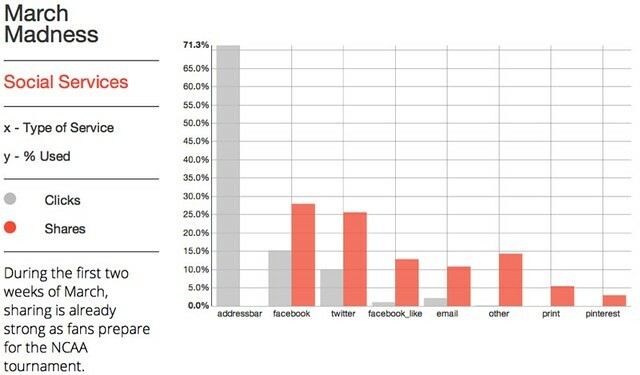 Twitter is the second most, but neither of the two beat the enormous amount of address bar sharing. It’ll be interesting to see how much of this changes throughout the games. My guess: Twitter will become more popular as people react instantly to bad calls, highlight reel dunks, buzzer beaters, and upsets. Hold onto your hats, the madness has already started. Now that the tournament field is set, fans are downloading brackets and analyzing their chance to win a billion dollars. The experts are picking Michigan State to eventually be the last team standing. What NCAA team are you rooting for? Who do you think will be crowned champion?